Blog 2014 - Are We Still the Same, After All These Years? Are We Still the Same, After All These Years? 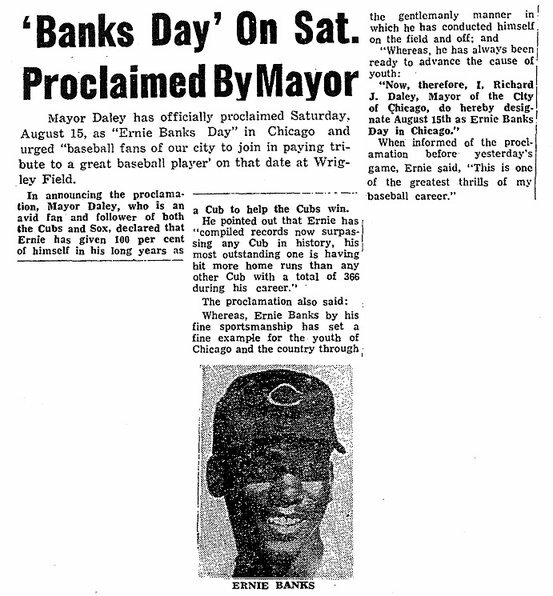 At the same time that two white and one black CRE (Congress of Racial Equality) workers were found dead in Mississippi (murdered by the Ku Klux Klan after trying to help register African American voters), the city of Chicago was giving the keys to the city to an African American baseball player, Ernie Banks. How much have things changed in 50 years? During this same month, President Johnson authorized the bombing of North Vietnam, and Congress passed the Gulf of Tonkin resolution, which opened the floodgates of troops. The soldiers were going to a war in Southeast Asia that ended up in 58,000 American deaths, a disproportionate number being borne by the African American community. Despite the lessons that should be learned, as a people, we often continue to make the same mistakes or follow the same patterns. Polls today often show that racial tensions still exist in our country, and some believe they are even worse than that summer of 1964, even though the mass riots have disappeared. Presidents still take action with or without Congressional consent, and that action often includes military acts. Presidents can only make decisions they feel are right for the time. We hope any sitting President has learned from the lessons of the past before taking any dramatic action. But how can anyone learn without access to information? That is always the most challenging part of not repeating history: being able to see it accurately enough in our rear view mirror in order to make better choices. Making these primary source materials available to researchers, particularly original papers, are important because there is a lack of filtering by a third party, leaving us to see history as it was happening, and make our own determination how, for instance, those actions by CORE were impacted by three murders in another state in 1964. Through these documents, coming mostly from Chicago and other Illinois cities, we can learn how race relations in Chicago led to an African American being given the keys to the city during a year of race riots. Researching historical newspapers of the time shows us what President Johnson was saying as he escalated the war in Vietnam. That opens up the information to any other President or leader so that better decisions may be made. We all hope for wisdom in our leaders and that wisdom includes an ability to learn from the past.